Ketogenic Diets For Weight Loss: How Well Do They Work? For many people, losing weight can be very difficult. One popular weight-loss option in recent times is the ketogenic diet, but can this high-fat diet really help us to lose weight? With the ketogenic diet’s surging popularity, this is a question that many would-be converts are asking themselves. However, when we look at any diet, we should fully consider the efficacy, benefits, drawbacks, and the safety profile. This article will look at whether the ketogenic diet is effective for weight loss, and the overall merits of the diet. First of all, for those who are unaware, the ketogenic diet is a high-fat, low-carb way of eating. Typically, this means that carbohydrate intake should be very low. For instance, a ketogenic diet is often defined as one that contains less than 50 grams of carbohydrate per day, as supported by low-carb researchers Phinney and Volek (1). Fat intake is unrestricted, although clearly, this doesn’t mean we should consume as much fat as we can. Lastly, ketogenic diets encourage a moderate consumption of protein. Key Point: Ketogenic diets emphasize a low-carb, high-fat way of eating. How Do Ketogenic Diets Work For Weight Loss? Firstly, ketogenic diets change the way in which our body uses energy. Rather than using glucose for energy, a diet low enough in carbohydrate leads to a natural metabolic process known as ‘ketosis’. When someone enters ketosis, their body will begin burning body fat for fuel rather than glucose. For those interested in learning more about this metabolic pathway, see here for a guide to ketosis. Ketogenic diets appear to improve satiety levels, and this is important for many reasons. For one thing, no matter what kind of diet someone is on, it will ultimately become unsustainable if it does not satisfy. There are two main factors through which a keto diet may improve appetite regulation, and these are protein intake and ketosis. Many people that follow a keto diet eat more protein than those on the average grain-heavy diet. Notably, protein is the most satiating out of all three macronutrients. In fact, studies show that higher protein intake leads to a decreased appetite and spontaneously reduces overall calorie intake (2, 3). Interestingly, being in ketosis may also impact appetite regulation. For example, when we eat less food to lose weight, our body tends to up-regulate appetite hormones such as ghrelin. This is a protective mechanism to ensure we eat enough food, but it does make weight loss more of a struggle. However, studies suggest that this rise in hunger hormones is suppressed in people who are in ketosis, thereby reducing overall appetite (4, 5). Isn’t This Just Calories In, Calories Out? Personally, I feel that overly simplified calories in vs. calories out advice, without looking at the root-cause behavior, is a disservice to anyone looking to lose weight. Yes, a calorie deficit is an important component of a weight loss diet. However, the actual behavior that facilitates this is essential. If someone is eating the right foods, then a diet that is supportive of weight loss becomes that much easier. In short; a large number of people around the world are reducing calories, yet continuously struggling with food cravings and fighting hunger at the same time. Ultimately, this kind of diet becomes unsustainable and the millions of “yo-yo dieters” are a testament to this. Overly simplified calories in vs. calories out advice, without looking at the root-cause behavior to facilitate it, is a disservice to anyone looking to lose weight. Predominantly eating whole foods and ensuring sufficient protein intake both have a significant effect on satiety levels. Providing it is formulated well, a keto diet is one option that does these things well. Key Point: Since they encourage better appetite regulation and improved satiety levels, ketogenic diets are beneficial for weight loss. Does Science Support a Ketogenic Diet For Weight Loss? Now that we have looked at some theory on how keto diets lead to weight loss, we should examine whether they actually work. What happens when real people use a ketogenic diet as part of a weight loss intervention? Fortunately, the latest science suggests that very low carb diets work well for weight loss. In a randomized, clinical trial, 304 participants on a low-carb diet lost an average 6.0 kg of weight over a 12-month period (6). Over a 12-month randomized trial, diabetic patients lost 8.3% of their body weight. Each participant was on a very low-carb ketogenic diet (20-50g carbs per day) (7). A systematic review that featured 13 randomized trials found that low-carb ketogenic diets result in an average weight loss of 4 kg over the first six months (8). Key Point: High-level evidence clearly shows that ketogenic diets result in efficient weight loss. How Does a Keto Diet Compare To Low Fat? I’m not a big fan of low-fat diets, but it is unscientific to say they don’t work for weight loss. We have enough studies suggesting that, in clinical trials at least, genuine low-fat diets do result in participants losing weight. But how does this weight loss compare to individuals adhering to ketogenic diets? Fortunately, there is no shortage of studies comparing very low-carb and low-fat diets, so let’s take a look at which one comes out on top. Here are the results of randomly selected systematic reviews and randomized trials that directly compare both diets over various time-frames. The studies range from 6 months to 12 months in length. As we can see from the above data, when both diets are well-formulated, weight loss ensues. However, it is also clear that very low-carb diets lead to greater weight loss. After analyzing these studies, I purposefully searched for a systematic review or meta-analysis of controlled trials that show low-fat diets resulting in more weight loss. I could not find such a study. Is the Weight Loss Difference Clinically Significant? While some people admit that low-carb diets result in greater weight loss, they argue that the difference isn’t clinically significant. Well, the average difference between the above studies is 3 kg extra weight loss for low carb diets. Is this a clinically significant amount for someone who is suffering from morbid obesity? You could look at it from the angle that a weight loss of 4 kg versus 7 kg isn’t much different for someone weighing 140 kg. In my opinion, this is still significant though. Losing a few extra kilograms is always a positive thing for anyone who needs to lose weight. Key Point: With adherence to a well-formulated plan, both low-fat and ketogenic diets work for weight loss. However, clinical trials show that keto offers greater overall results. Is Following a Ketogenic Diet Safe? A diet that encourages weight loss is an excellent tool, but it won’t be beneficial if the diet isn’t safe. Therefore, how does the ketogenic diet’s safety profile measure up? Anecdotal accounts suggest that people can follow well-formulated keto diets for many years – even decades – with no health problems. Despite this, we have very little evidence for the ketogenic diet’s long-term safety at this time. However, this is only because researchers haven’t done longer term studies yet. There is no reason to presume ketogenic diets aren’t safe after this time-frame. A wide range of research demonstrates that ketogenic diets are a safe intervention over a 3 to 12 month period. Over a 3-month period, participants lost weight with no change to blood-glucose levels or the lipid profile (9). In a meta-analysis of studies ranging from 6 to 12 months in duration, low carb participants had less reduction in LDL cholesterol than low-fat participants. However, low carb dieters had reduced levels of fasting glucose, triglycerides, and blood pressure, and a higher amount of HDL (10). Carb-restricted (<30g per day) study participants had a reduction in triglycerides and blood pressure. While there were no major differences in cholesterol levels, there was also an increase in insulin sensitivity (11). Participants on less than 10% of total calories from carbohydrate had improved overall lipid profiles over 6 months. LDL and triglycerides both reduced, while HDL significantly increased (12). One meta-analysis of 48 randomized trials found that, despite impressive weight loss results and health markers, very low carb diets had some adverse reactions. These included feelings of weakness and lethargy, bad breath, constipation, muscle cramps, and headaches (13). As we can see from these findings, using a ketogenic diet to lose weight appears to be reasonably safe. The adverse events such as weakness, constipation, and muscle cramps are well known among advocates of lower carb diets. People tend to experience these events due to metabolic transitions in the first few days of adopting a diet lower in carbohydrate, and they are collectively known as “low carb/keto flu”. Key Point: Ketogenic diets are a safe and proven weight loss intervention in the short-term. At this moment in time, we need longer studies to confirm this in the long-term. In the nutrition world, there are always many myths about pretty much every weight loss diet, and it is no different regarding keto. Some of these myths scare-monger about ketogenic diets, while others overly exaggerate the benefits. 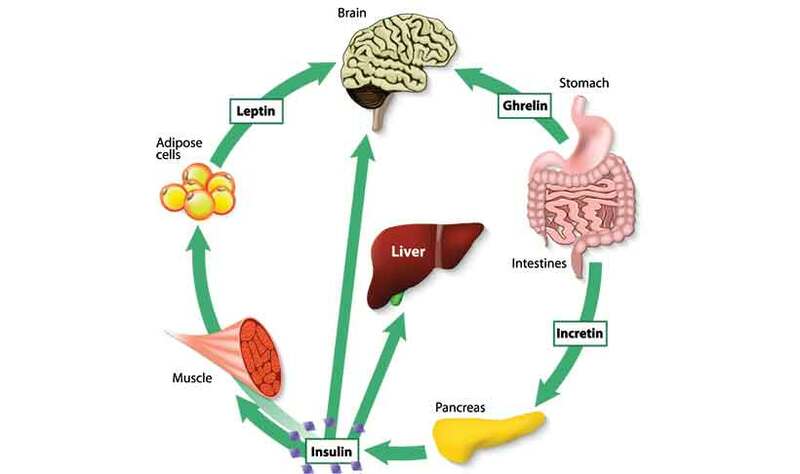 Ketosis is a natural metabolic state during which our body produces ketone bodies to fuel our energy needs. On the other hand, ketoacidosis is a medical emergency, and it occurs when ketone levels are too high (and become dangerous) to our body. If ketosis means higher ketone levels, then isn’t this dangerous? Well, this is where some people – even health professionals – get confused. The two conditions are very different things, and nutritional ketosis is entirely unrelated to ketoacidosis. For one thing, our body is intelligent, and it will release small amounts of insulin to stop ketone levels from becoming too high (14). Ketoacidosis is otherwise known as diabetic ketoacidosis (DKA), and it is a danger for untreated type 1 diabetics because they cannot produce sufficient insulin. Diabetic ketoacidosis is the biggest cause of death in type 1 diabetics, and it occurs when symptoms of type 1 diabetes go untreated (15). It is vital that patients with diabetes consult their medical team before trying any new diet. Key Point: Nutritional ketosis and diabetic ketoacidosis are very different things. For some reason, there is a myth that we can eat as much fat as we want and not gain weight. While there is nothing wrong with a high-fat diet providing it is well-formulated, purposefully binging on fat is far from ideal. And it definitely isn’t a good strategy for weight loss. Key Point: There are many healthy fats out there, but it doesn’t mean we should eat them in huge quantities. Some people claim that our brain needs a minimum of 130 grams of carbohydrate per day to “maintain brain function”. If that were true, we would have all died out in the ice age. While it is true that we all function best on different amounts of carbohydrate, it isn’t right to prescribe a universal minimum carbohydrate intake. It is clear to see that some people — whether they be doctors, scientists, or the general public — thrive on very low carb diets. Some even seem to do well on zero carb diets. Others may find that a ketogenic diet doesn’t suit them and will prefer a higher carbohydrate intake – perhaps a paleo diet, or even a high-carb diet. That’s no problem, and we are all different with what we feel is right for us. However, there is no evidence that we need to eat 130 grams of carbohydrate per day. Key Point: The claim that we need 130 grams of carbohydrate per day is simply not true. Carbohydrate is a non-essential macronutrient, and if we wish, we can live without it. You may occasionally hear claims that certain keto-friendly foods are good at burning fat. However, It is our overall diet that results in lipolysis (the breakdown of stored fat), and there are no specific “fat-burning” foods. Certain foods may slightly increase our rate of metabolism, but eating more of them doesn’t bring a net positive to weight loss. This is similar to the “superfood” concept – there are no single foods that miraculously rescue our health. And there are no foods that magically burn fat either. Key Point: A healthy overall diet will support weight loss, but no individual food “burns fat”. Is a Ketogenic Diet the Best Option For Weight Loss? Ketogenic diets are very efficient at what they do, and they may well be the best diet for losing weight. That said, the “best diet” is subjective, and it very much depends on the individual. People who feel more comfortable on a low or moderate carbohydrate intake (or other diets) can also be successful. If someone finds a ketogenic diet satisfying, and they don’t mind strictly restricting the amount of carbohydrate they eat, then they should be able to adhere to it successfully. With proper adherence, a well-formulated ketogenic diet will work very well for weight loss. Lastly, some people also find that using an intermittent fasting plan alongside keto can work well for weight loss. Would like to see longer term results of maintenance of weight loss – over 3, 5 10years of living on a low carbs vs low fat eating plan.. was initial weight loss sustained, and how easy/difficult to eat this way forever? Not sure if such a study will be done. I would guess that the initial weight loss would be sustained providing adherence rates stay the same. In clinical studies, there are quite a few dropouts over 12-month periods though. One of the best articles I have read about ketogenic diet. Thanks for sharing. Thank you for the comment and I’m glad you liked it!